Poor indoor air quality has been tied to symptoms such as headaches, dizziness, fatigue, and irritation of the eyes, nose, throat and lungs. 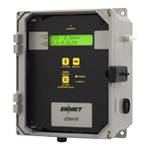 ENMET provides ambient air analyzers designed to monitor indoor quality and help maintain a safe work environment. Our products include portable and fixed gas monitoring systems. These systems can be mounted in various rooms for continuous monitoring, or in a control room with sensors remotely mounted in a potentially hazardous work area. 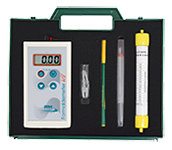 Our Formaldemeter is a direct-reading portable instrument that monitors airborne formaldehyde. This formaldehyde monitor accurately detects formaldehyde vapors and can be used as a continuous stand-alone monitoring system. Our new mGC portable gas chromatograph is a chemically specific analyzer that measures sub ppm levels of gases such as ethylene oxide, benzene, and vinyl chloride. 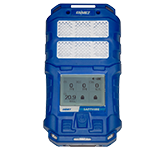 This handheld trace analyzer provides real-time measurement of threat chemicals with accuracy and precision. Our detection systems are capable of monitoring an array of air quality hazards including unsafe oxygen levels as well as the presence of toxic and combustible gases and vapors. RECON/4a is a compact portable gas detector with a large easy-to-read display. 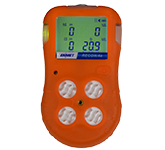 It can monitor for CO, H2S, O2and combustible gas simultaneously. 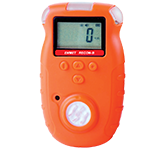 RECON-B Series portable gas detectors feature a large easy-to-read display. Instruments are available for monitoring CO, H2S, NH3, SO2, H2, O2 or combustible gas. 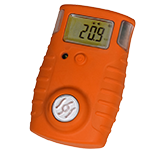 RECON-IS Series personal gas detectors are approved intrinsically safe and feature a large easy-to-read LCD. Highlighting the superior design features of SAPPHIRE are the exclusive, interchangeable, pre-calibrated, smart sensor modules.